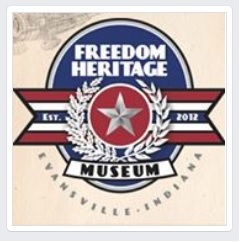 Evansville, Indiana – Richard Litov of Evansville, Indiana sued Freedom Heritage Museum, Inc., of Evansville, Indiana alleging trademark infringement. Litov asserts claims under both federal and Indiana law. Litov claims that he conceived the idea for the museum – a collection of exhibits and artifacts from the World War II era – as well as the museum’s name, stating that he served as its founding president and a founding board member. He asserts that the museum used the trademarked name pursuant to permission that he granted “as president and board member” of the museum. The trademark in question has been registered under Litov’s name as U.S. Trademark Registration No. 4,939,292. Litov states in his complaint that the registration covers the words FREEDOM HERITAGE MUSEUM and an associated design. The word portion of the trademark, as listed by the U.S. Patent and Trademark Office’s website, is FREEDOM HERITAGE MUSEUM, EST. 2012, EVANSVILLE INDIANA. The application for the trademark registration was filed on July 6, 2015 and granted on April 19, 2016. This Indiana trademark dispute arose when Litov was removed as an officer and board member of the museum, whereupon he withdrew his permission for the museum to continue using the trademark registered under his name. Litov contends that they have continued to use the mark and the current litigation ensued. Litov’s primary claim is one of potential customer confusion. He states that he plans to open a new museum under an identical trademark and that Defendant’s use of the trademark will confuse customers. Litov contends that Defendant’s actions have been willful, intentional and in bad faith. He seeks damages, including treble damages, as well as injunctive relief, costs and attorneys’ fees. The case was assigned to District Judge Richard L. Young and Magistrate Judge Matthew P. Brookman in the Southern District and assigned Case No. 3:16-cv-00241-RLY-MPB.